organisation. We also present a realistic ontology scheme in forensic computing for the Brazilian Federal Police and a case study in which agents from a formal organisation were deployed in complex mission scenarios. This ontology can be easily extended to other police or military forces, and is an efficient tool for managing people and resources. 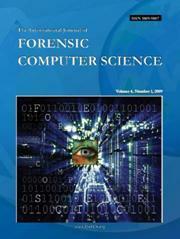 Artificial intelligence, complex mission scenarios, forensic computing, international scientific exchange, ontology. By Jose Nogueira and Wamberto Vasconcelos.